The star of "Farmhouse Rules" showcases the gorgeously rustic kitchen where she films her hit TV show. 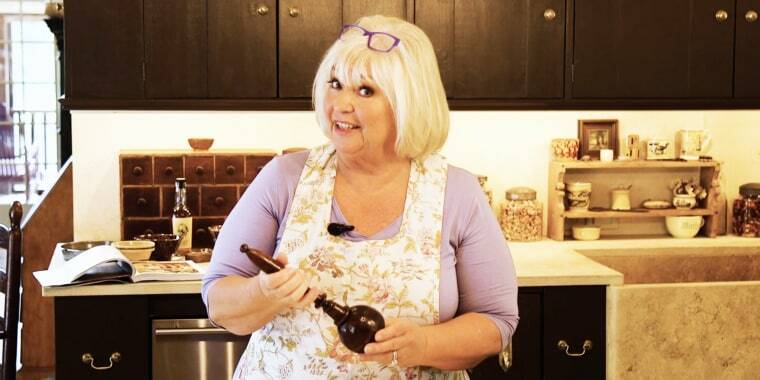 Food Network's Nancy Fuller, the star of the hit show "Farmhouse Rules," most certainly puts many a home cook's baking patience to shame given that her 17th-century oven takes several hours to just pre heat. Fuller's amazingly chic turn-of-the-century kitchen is featured on the next episode TODAY Food's "Crazy Kitchens." Fuller lives with her husband David Ginsberg on a 152-acre farm in upstate New York in a Dutch Colonial home that's nearly 300 years old. Between their eight children and 13 grandchildren, they've enjoyed over 10 years of family traditions under this very roof. Her favorite kitchen feature is her beehive oven with its clay-domed shape, resembling that of an old-fashioned beehive. The ultimate catch? These ovens can take up to four hours to heat so it takes both strategy and careful planning to pump out delicious treats. We secretly think this is how you separate the baking novices from the pros! For instance, according to Fuller, breads should be baked first, then muffins and biscuits, and finally custards and puddings as the oven begins to cool. Those are some finicky marching orders! And when it's time to dig in, Fuller loves serving her savory and sweet treats alike to friends and family using antique bread boards, berry baskets, wood bowls and floral printed china — yes, you heard that right, she's breaking out the fine china for everyday use! While Fuller epitomizes the farm-style life, there's one modern necessity she can't live without: her hidden fridge drawers are brimming full of fresh produce and eggs from local area farms. With this unique feature she's able to maximize storage space elsewhere in the kitchen. We do think the luxury of refrigeration is a good call over salting and pickling shelf-unstable goods since Nancy is known for her sweet, milky treats, after all! 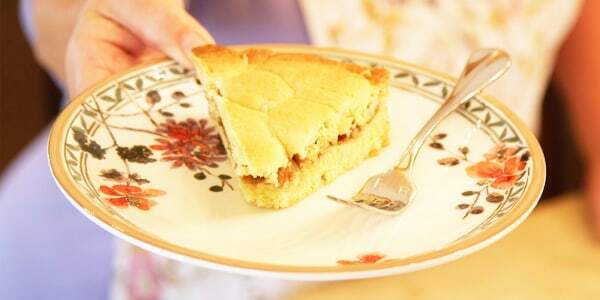 When it comes to gadgets, Fuller's kitchen it stocked full of unique items, from a handy slide-release cake pan from Bake King that magically releases sticky cakes and pies from the tin after baking, to an antique stand mixer from the early 1900s. Clearly, she's not shopping at Bed, Bath& Beyond and we love her style. Inspired by the apple orchards famous to Hudson Valley, Fuller also whipped up Almond After-Dinner Bars, an ode to her hubby who just loves almonds. These bars are the perfect treat to whip up for a fantastic Thanksgiving feast! If you're looking to see Fuller in action outside the kitchen, check out the latest season of Food Network's "Holiday Baking Championship," which airs Monday at 9 p.m. ET.